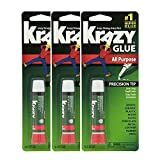 In 1980, Krazy Glue made an advertisement showing a construction worker gluing his helmet to a steel beam with just a few drops of their glue. Seeing the construction worker suspended in air by his helmet was a tremendous sales pitch. Super glues have been known for decades as a strong adhesive that bonds within seconds. Ever since Harry Coover and Fred Joyner invented Ethyl cyanoacrylate in 1942 and realized its gluing capabilities, 300,000 different uses for it have been discovered. But it also comes in several forms. What is the one that is best for you? Here is a guide to some of the best super glues on the market. Dropper: Even though Super Glue is generally not able to fill in gaps, and is only intended when the parts mate perfectly, the dropper can apply exactly the amount of glue that you need, exactly where you need it. 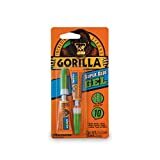 Push Point applicator—This applies the glue much like a correction pen: when you press the tip of the applicator, it releases a small amount of glue. Brush on applicator—This is appropriate when painting over cracks and large surfaces. 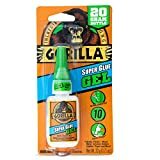 Gel form: Super glue gels are thicker, for porous applications. That makes it ideal for wood, leather, and porcelain. This type of Super Glue is also to be used when the parts don't mate perfectly anymore. Super Glue gel will fill the crevice perfectly. It will work on uneven, oily and dirty surfaces, penetrating through grease. How much do you need? 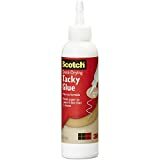 : Super Glue dries fast upon contact with water vapor in the air. 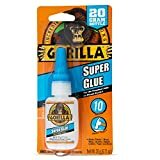 Many people who buy a tube of super glue are disappointed to see that very often they can't use the tube of glue a second time. If the tube isn't sealed properly, the tube dries out and the rest is useless. And even if it the tube was closed properly, the glue can dry out because of the air in the tube! So if you need a small amount, buy a small tube. Usually they sell several small tubes in a package—where it's understood that each tube is for a single use. Colorless: Super Glue is colorless—so it works well in cases where you don't want it to be obvious that you glued the parts together. Purpose of the glue: Super Glue is strong and dries fast, but that doesn't mean that it will glue everything equally well. It's suitable for plastic or wood. But it doesn't bond all types of plastics equally. It is good on ceramics, where the pieces mate perfectly. But ceramics don't always break in a way that the pieces mate anymore. The standard Super Glue is not recommended for glass. Some companies market a special Super Glue for glass. Bonds skin: If you get it on your skin, it bonds instantly. If you accidentally glue your fingers together, soak them in warm, soapy water, and separate the skin with a soft spatula. Other things you can try are: salt, margarine, liquid detergent, petroleum jelly, and WD-40 lubricant. In tough cases, acetone-based nail polish remover works to dissolve the dried glue. Child safety cap: The glue says “Keep out of reach of children”, but there's always the chance that kids can get their hands on it. Getting the glue on skin is not pleasant, but getting it in the eyes or mouth could require a trip to the hospital. You might want to buy super glue with a child-proof seal. Filling gaps: Super Glue is usually only for use when the parts mate perfectly. There are Super Glue gels that claim to fill gaps. If there is a gap between the parts or more than 0.25 mm, you might have to fill it with the appropriate product, like Quickwood wood fill putty or Quick Metal metal fill putty. More ideas: Super Glue adheres based on water vapor in the air. Alcohol and baking soda are known to also accelerate the bonding of the glue. The baking soda can also be used to fill gaps in some cases. Elmers—is a division of Borden Inc., founded in 1857 by Gail Borden, as makers of glues from casein, a milk-byproduct. They started making their famous white glue in 1947, under the name Elmer's (Elmer being the name of the company mascot, a bull). They are located in Columbus, Ohio. 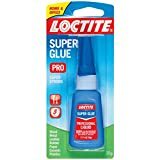 Loctite—was founded in 1953 by Vernon Krieble in Hartford, Connecticut under the name American Sealants. They assumed the name Loctite in 1953. Their greatest fame comes from the Super Glue product, even though they make over 1000 types of sealants, adhesives and surface treatments. Super Glue Corp.-- is a company located in Ontario, California. 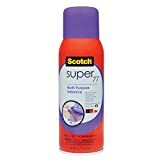 Their most famous product, Super Glue, was developed in 1942 for military purposes, but then was adapted as a commercial adhesive in 1952 by Harry Coover and Fred Joyner. The company Super Glue Corporation was founded in the mid-'70s, and have since become a leader in manufacturing high-grade bonding agents—both glues and epoxies. Harbor Freight Tools-- was founded in 1977 as a small, family-owned business, making quality tools. Their headquarters is in Calabasas, California. They operate a chain of retail stores for discount tools and equipment.